This entry is part 6 of 7 in the series Glorious Greece. Set in the shadow of the looming Acropolis is the Ancient Agora of Athens, the central public square of the ancient Greeks. This site is the best preserved ancient Greek agora still in existence and you can easily spend a few hours wandering through its shady pathways. 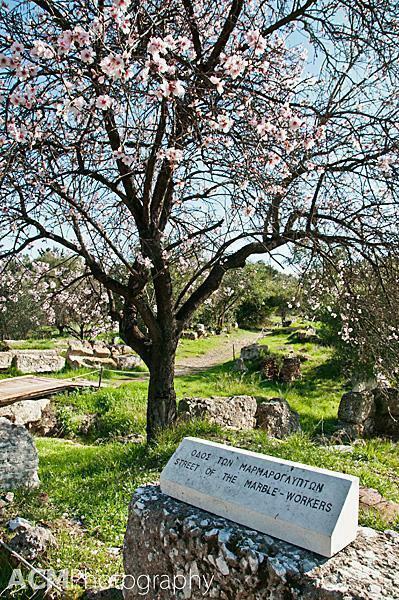 The agora was the centre of Greek life. It was not only a marketplace, but the seat of government, religious activity, justice and industry as well. 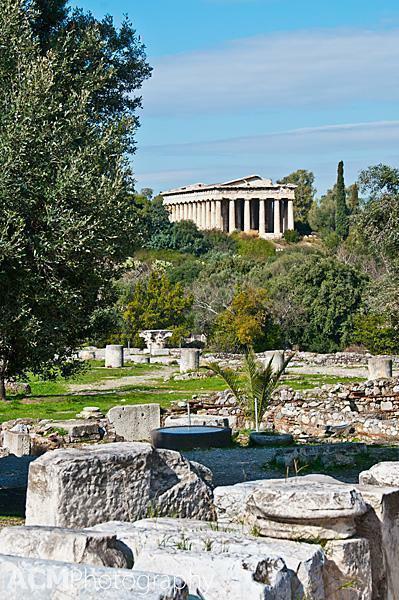 The Temple of Hephaestus overlooked the potters and metalworkers of the Ancient Agora. The agora was in use residentially as early as 3000BC, but it didn’t become a bustling public area until the 6th century. 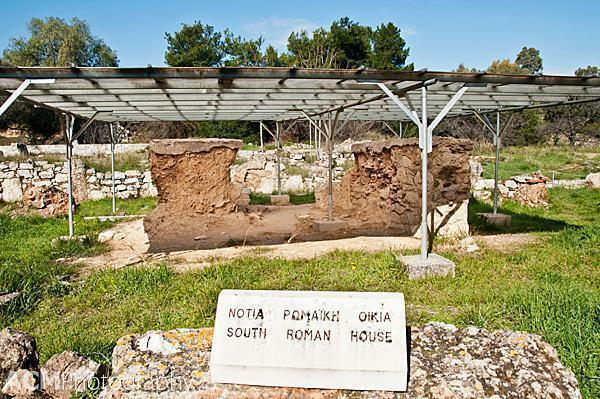 Excavations of the archaeological site began in 1859 and construction of the Athens railway line in the 1890s uncovered extensive building remains. To expose the entire 12 hectare site, 400 modern buildings, which had built up over the years, had to be demolished. This is a bird’s eye view of the Agora. You can see how it is surrounded by the sprawling city. 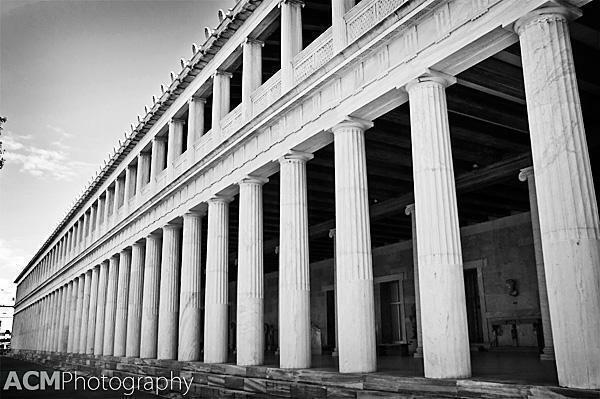 The only building in the Ancient Agora to be completely rebuilt is the Stoa of Attalos, which now houses the Agora’s museum. This long, rectangular, marble and limestone structure, lined with pillars, was gifted to Athens by King Attalos II of Pergamon, who ruled between 159 BC and 138 BC. It was restored in the 1950s, with funding donated by the Rockefeller family, by American School of Classical Studies at Athens. 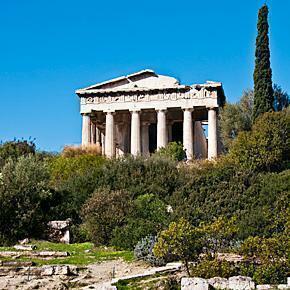 Another impressive structure in the Ancient Agora is the Temple of Hephaestus, or the Hephaisteion. This temple to the god of metal working and craftsmanship, Hephaestus, overlooked the Agora’s many pottery and metal-working shops. It is arguably the best preserved ancient Greek temple, more so than the Parthenon, and stands much as it did when the Agora was in use. We visited Athens Ancient Agora during the low-season, and had the site almost entirely to ourselves. 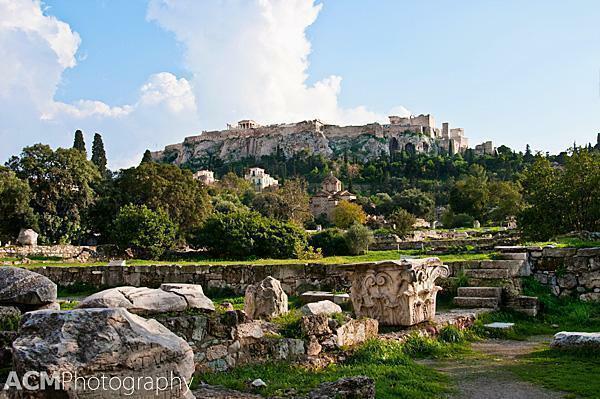 As we strolled around the grounds, we had a perfect view of the Acropolis, towering above us. 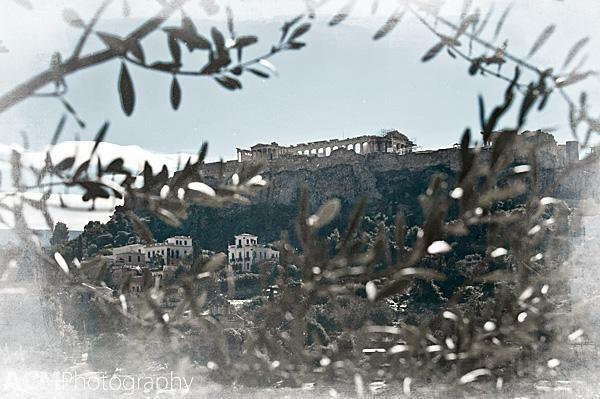 It is easy to see how the ancient Greeks would have seen this as the home of wealth, power and the gods themselves. 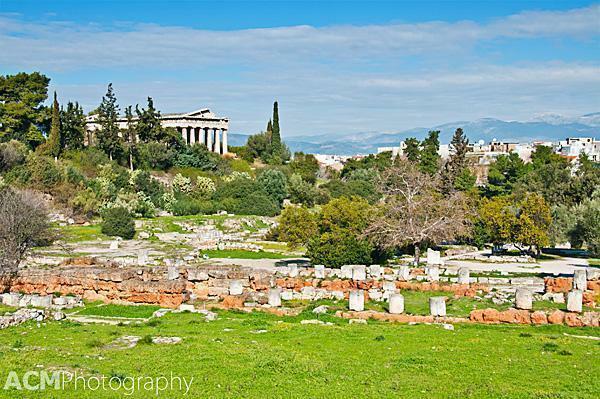 The Agora also demonstrates how truly advanced ancient Greek civilization was. You can see evidence of the elaborate irrigation and drainage channels, a watermill, library, theatre, and even how citizens and jurors voted on issues. 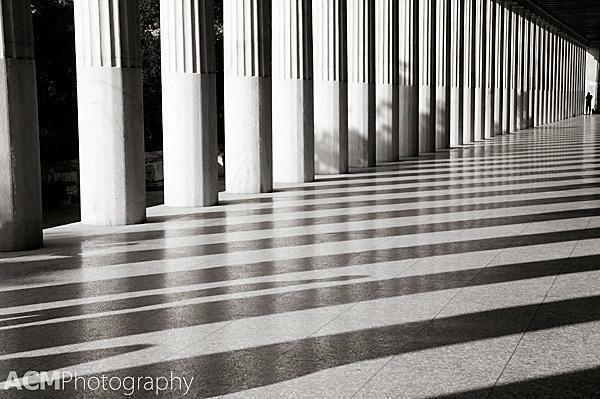 The Athens’ Ancient Agora is a step back in time in the heart of the modern city. 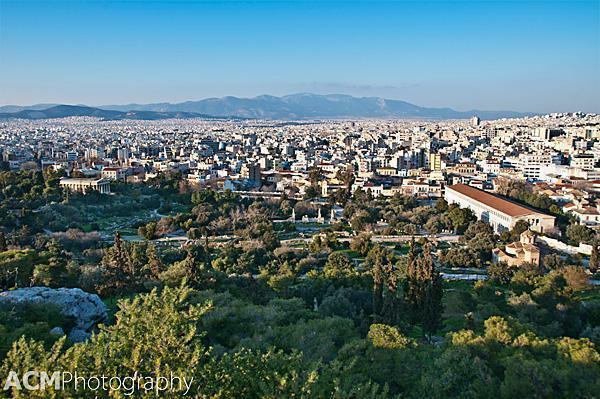 For more photos of Athens, be sure to ‘like’ us on Facebook. Passionate about travel? Subscribe to our free newsletter, to stay up to date on our slow travel discoveries around the world. Plus we’ll give you access to some free ebooks we’ve created, such as our 7 Slow Travel Destinations in France.